A slick science-fiction-inspired update of a Golden Age crimefighter, the Green Lantern Hal Jordan arrived with a streamlined logo on his chest. 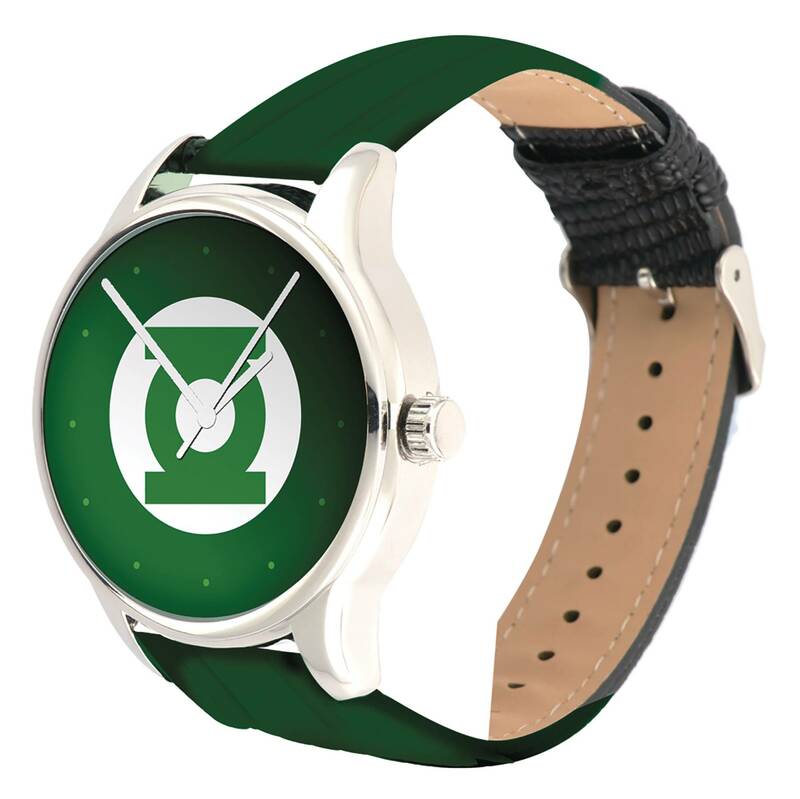 While other Lanterns have come and gone, this design has endured. The hands on your watch will glow in the dark to represent the force for light the Lanterns represent..